As you may know, cars are made of many valuable materials that can easily be recycled at the end of the car’s life. Materials like glass, metal, and rubber from cars can be broken down and easily reused for products such as floor tile, shoes, and new cars. In fact, almost every new car contains about 25 percent of recycled material from old vehicles. 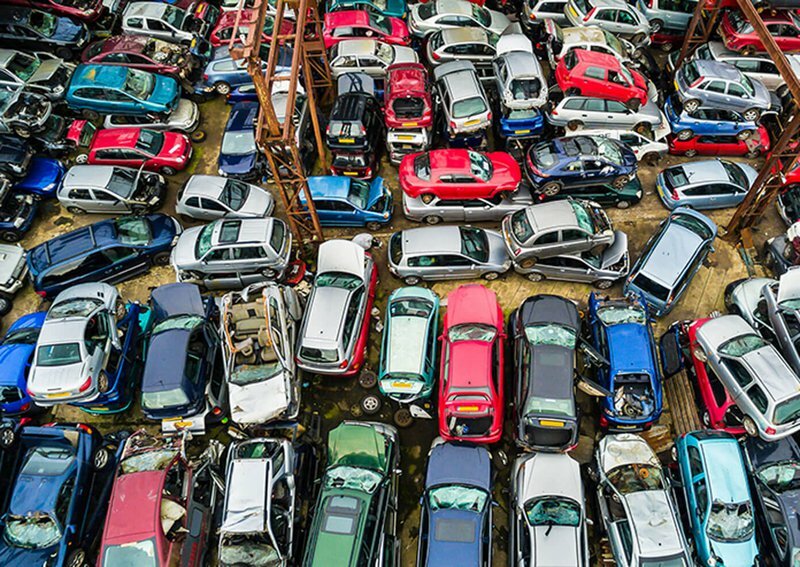 Every year, about 12 million cars are sent to auto recycling yards, more commonly known as wreck-yards or salvage yards. This has contributed to the auto recycling industry becoming the top recycling industry in the world. In fact, car material reuse is the 16th-largest industry in the United States, overall. To learn more about how you can contribute to saving the environment by recycling your old car, read our comprehensive guide. Car batteries contain plastics, acid and lead that all need to be either disposed of properly or recycled. 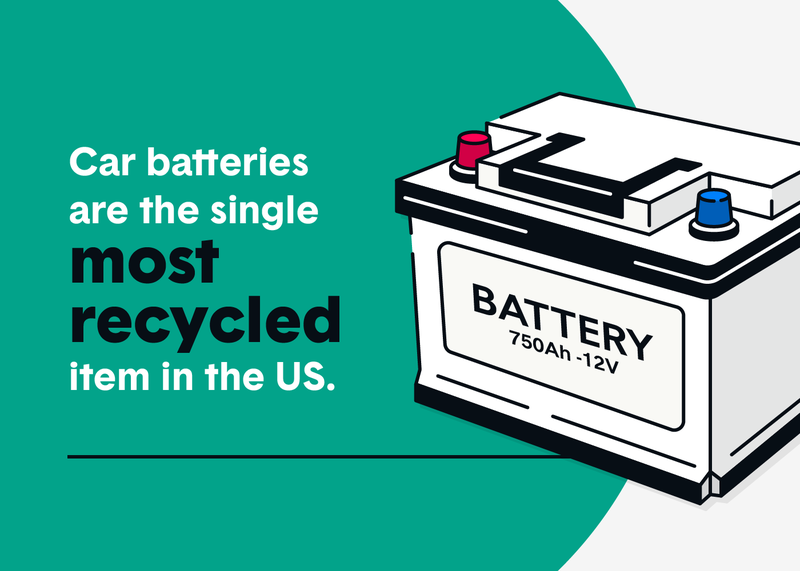 Thankfully, 99 percent of old car batteries are recycled, making car batteries the single most commonly recycled item in the U.S. Most of them will be turned into new batteries, while their plastic and lead may also be used for other products. Before you try to sell your used battery, be sure to check your state regulations on battery recycling before proceeding. Additionally, always take the necessary precautions for handling it. Use gloves to avoid touching any acid or lead and make sure not to store them in high temps or around open flames. Below is a list of places you can recycle your car battery for cash. Expect to earn $5 to $10 per battery. The more batteries you sell, the more a purchaser will pay per battery. Recycling your used motor oil might be the most environmentally beneficial thing you can do pertaining to your car. 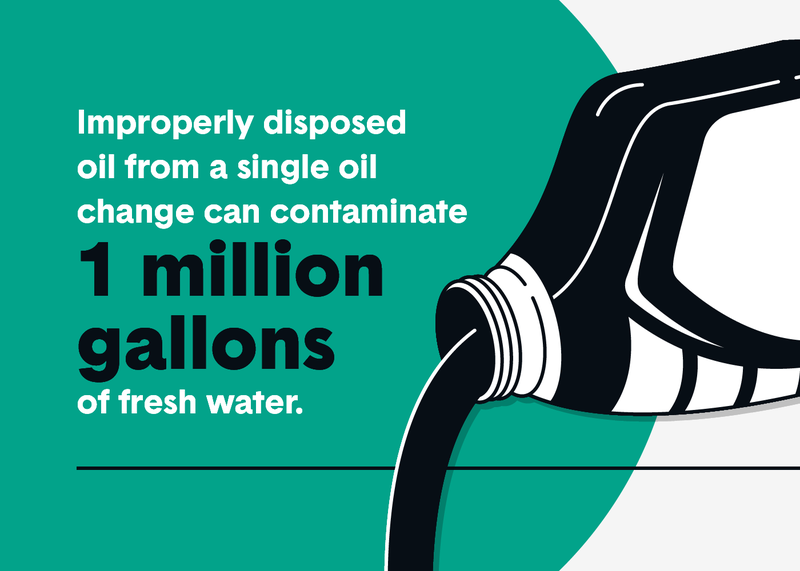 The Environmental Protection Agency (EPA) states that improperly disposed of oil from a single oil change can contaminate 1 million gallons of fresh water. Toxic oil is incredibly difficult to clean and will stick to nearly anything, including animals and plants. The good news is that old motor oil can be reprocessed to become usable again. You can and should recycle your used oil filters. You may be able to find someone who will pay you for your used oil, but that is unlikely due to the cost it takes to refine old oil. When you obtain your used oil, be sure to use a container made of polyethylene, and don’t mix your oil with other fluids. Tires are one of the most harmful sources of waste due to the high volume of production, their non-biodegradable nature, and their durability. This makes recycling old tires even more important. 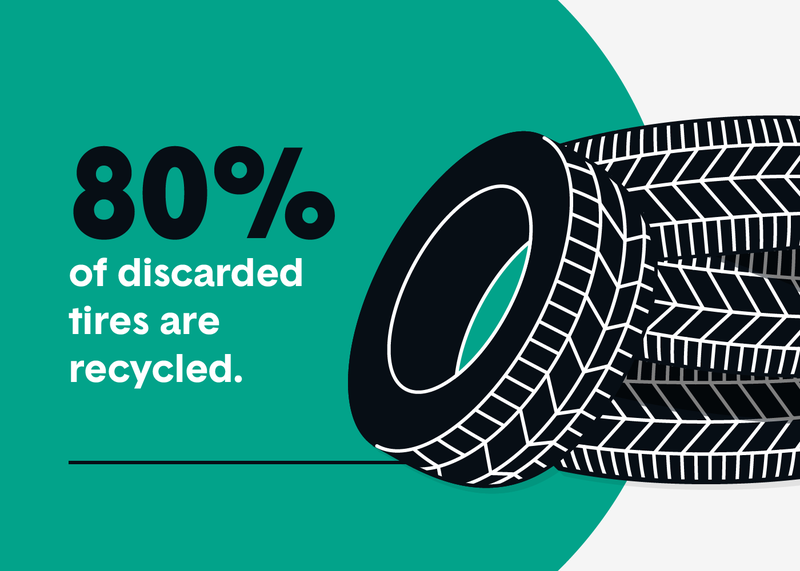 Recent technological advancementssuch as pyrolysis and devulcanization,along with government intervention have greatly increased the ability to recycle used tires. There are three main markets for scrap tires. These markets are tire-derived fuel, civil engineering applications, and ground rubber applications. Scrap tires can be used for anything from heating cement kilns to rubber turf or tracks for sports. Catalytic converters are a part of the exhaust system that converts pollutants into less-harmful exhaust. You can see how a catalytic converter works here. 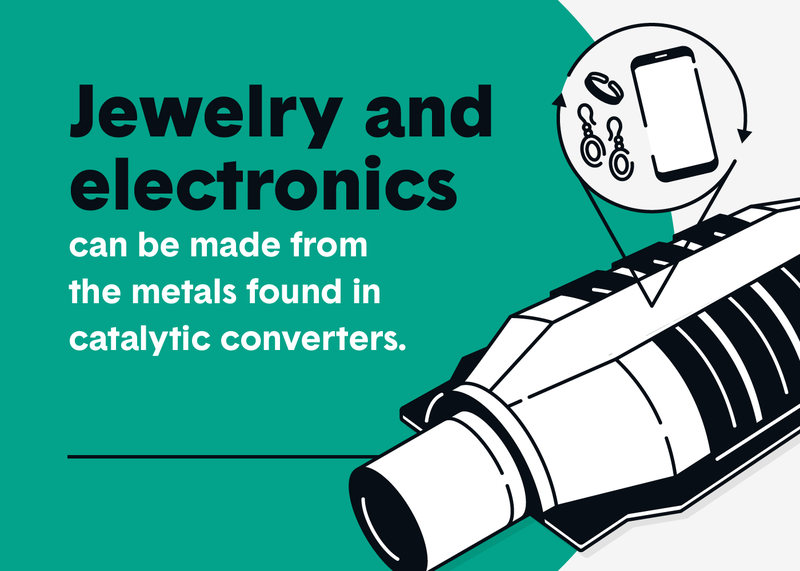 Catalytic converters contain precious metals like platinum and palladium that can be used to make jewelry, electronics, and other materials. Most catalytic converters contain about one-tenth of an ounce of platinum which is trading at $1,000 per ounce or more. Only recycling manufacturers have the necessary tools to extract these fine metals. Knowing what type of catalytic converter you have can also go a long way in terms of value when recycling it. Having the original catalytic converter that came with your vehicle is more valuable than an aftermarket or replacement one. 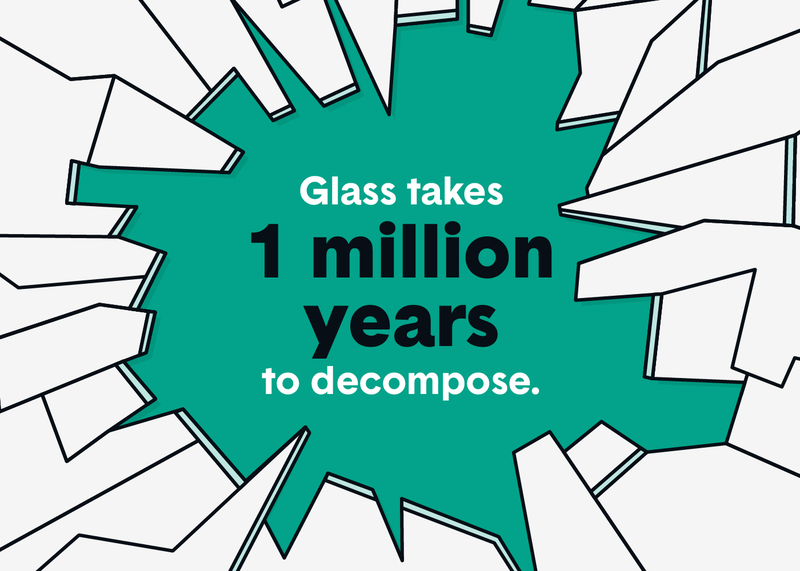 Glass is one of the longest-lasting man-made materials, taking an estimated 1 million years to decompose. Recycling old auto glass is imperative to helping the environment. But recycling auto glass isn’t the same as recycling glass bottles or other similar types of glass. Auto glass is laminated with a polyvinyl butyral interlayer — this helps the glass from shattering in the event of an accident. If you’re thinking about parting out your old vehicle, selling the glass — as long as it’s still intact — can be lucrative, especially if you have a classic car with hard-to-find parts. Starters and alternators are part of the power supply chain in your car. They are both a great resource for scrap copper and steel, so salvage yards and other places will pay a decent price for them. Many times, these parts can be refurbished to be used again in other cars or they can be broken down for their materials. Expect to get in the $2–$10 range for your starter and alternator. 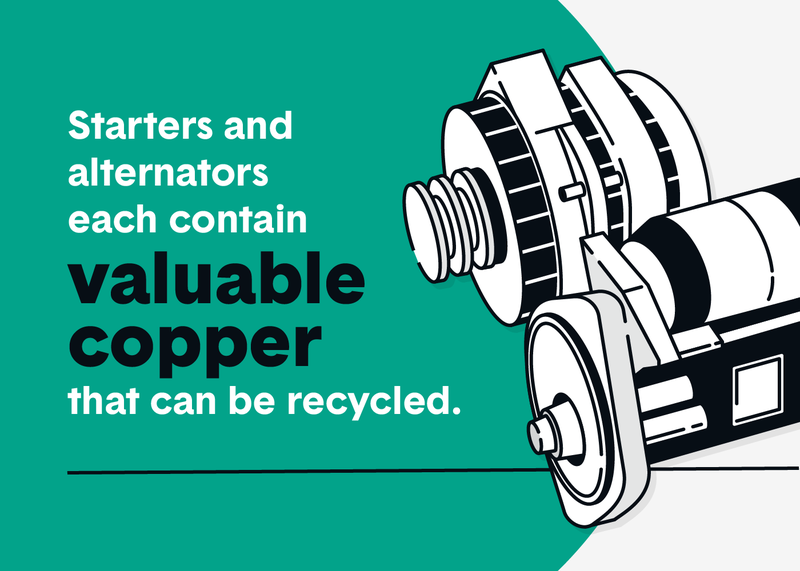 Considering that copper takes 200 to 500 years to decompose, selling your alternator and starter for a few extra bucks is a great way to earn some quick cash and help save the environment. If you’re handy enough, you may be able to rebuild your alternator yourself and keep it running for many more miles. Cars are full of scrap metal. From their engines and transmissions to doors, hoods, and more, these scrap metal parts can be recycled for cash payouts. 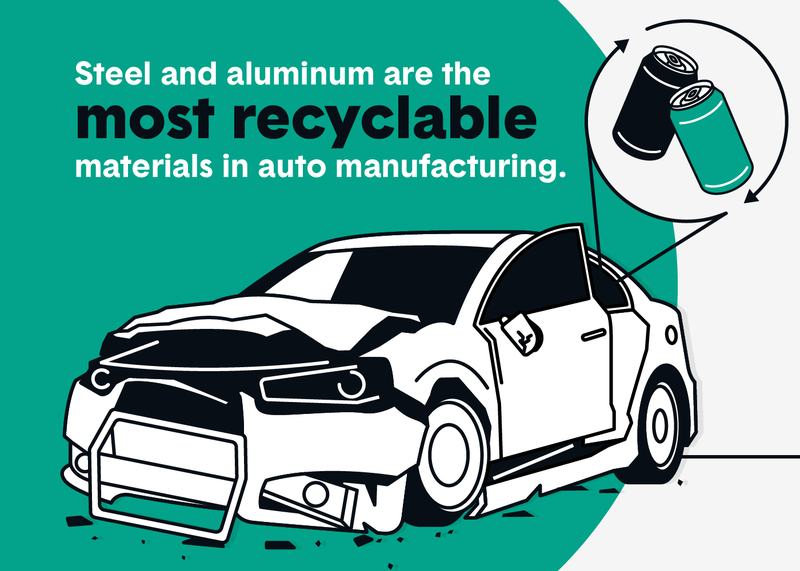 Cars are mostly made of iron, aluminum, and steel, all of which are valuable and recyclable. Aluminum is the least valuable of the three, but you can still get a decent return if you have enough of it. The more rewarding part about selling your aluminum to a place that will recycle it is that aluminum can be processed and made into another product within a few months. Recycling aluminum also saves 80 percent of the energy that was used to originally make it. Steel and iron command a bit more at the recycling plant — each is worth around 50 cents per pound. As you can imagine, heavy chunks of metal on your vehicle can be worth a pretty penny. Your best bet with recycling scrap metal will be to take it to a local scrap yard, which differs slightly from a junkyard or salvage yard. Scrap yards only focus on buying, recycling and selling scrap metal. You weigh your scrap load and they pay you out almost immediately. You can always call ahead to find out what their prices are for different types of scrap metal. Recycling materials from your old car is a rewarding venture in many ways. Not only do you get to walk away with some extra cash, you also get to feel good knowing that you made a real difference in the environment. Before you part ways with your old car, make sure you have canceled yourcar insuranceand removed the license plates. It’s also a good idea to contact your insurance agent and let them know you plan to recycle your vehicle. Keeps records of your sales in case anything happens to the vehicle after it leaves your possession. Once you’ve taken these precautionary steps, you are ready to reap the rewards of recycling your car parts for cash!